Sometimes when things aren’t going my way, I find the best thing to do is to bury myself in work.. Other times the best thing to do is just to run away and take a little time to yourself. And that’s exactly what I did yesterday. 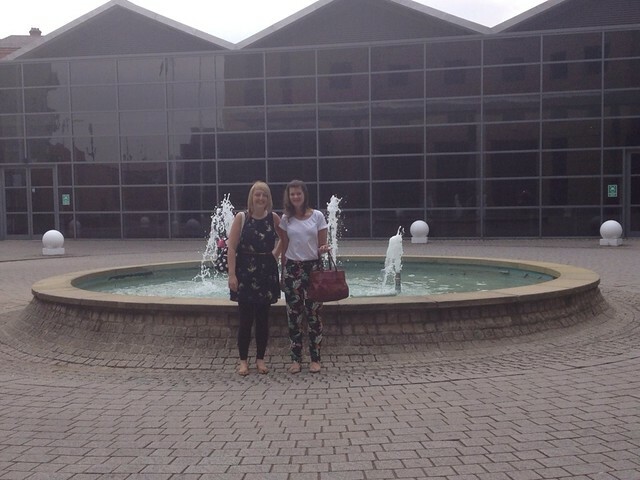 After a bit of a disappointing morning, Helen suggested that me, her and Emma spent some relaxation time in The Ocean Rooms Spa at the Hilton. Knowing I had a busy day today starting a new placement (more on that soon!) 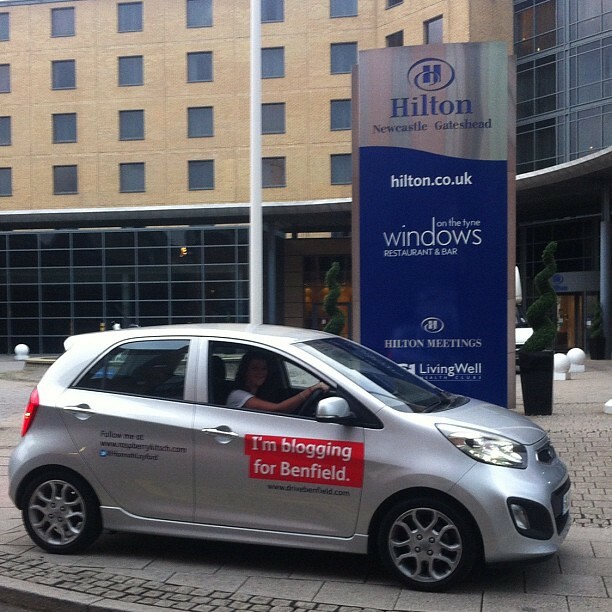 the thought of escaping for a few hours was too much to resist, so we headed straight for the spa in my little Kia Picanto, or the Bloggermobile as it is now affectionately known! Sometimes there’s nothing better to clear your head than a bit of pampering (and a steam room). After a little pampering, we walked over the bridge to grab an early dinner at Babucho. 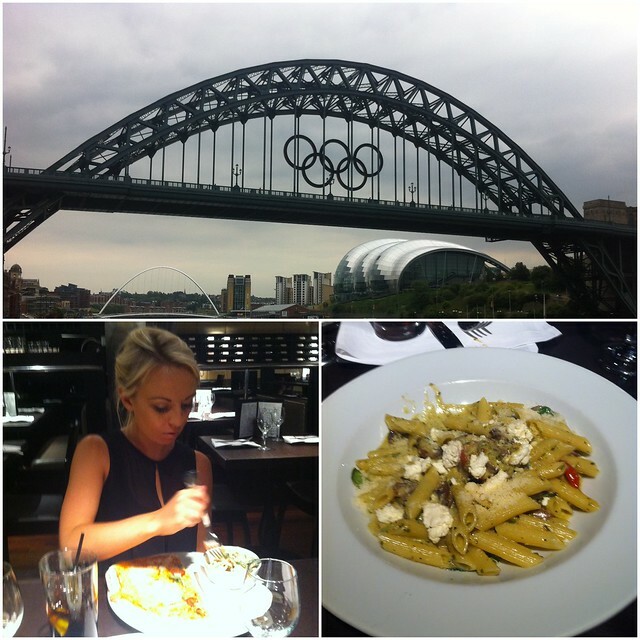 If you haven’t already visited, it’s an amazing New York style Italian brasserie just up from the quayside. After much deliberating of the menu, Helen and Emma shared half penne primavera and half pizza pollo parmigiana. I opted for the penne genovese: pesto, goats cheese, pine nuts, mushrooms and cherry tomatoes. Amazing. After filling our bellies, and feeling all relaxed and sleepy, we just piled back in the car and headed home. With it being the first time that Helen had been in the Picanto, I was keen to show her all the little gadgets. We had a lot of fun playing with the voice recognition software which you can use to control of the bluetooth. After many failed attempts to try and ring Helen’s phone, we were beginning to wonder if the Kia simply didn’t understand Northern accents (not really impossible because the voice recognition when I try to call the cinema never has a clue what I’m saying). However, Emma worked out that in order to get it to call someone you had to say their surname then first name. Suffice to say that once we started saying the names that way, it worked every time. Thumbs up for being able to understand us Northerners, Kia. P.s For those who commented on the trousers in my last post, you can see them a little better on this one! Ah yes, love those trousers. Primark have some really cute items these days. Btw, you know your post a few days back about being nice on the web? I've taken the plunge today and made a facebook page for my blog, eek! Wish me luck! And yes those pants rock!